Are you getting ready for the holidays? 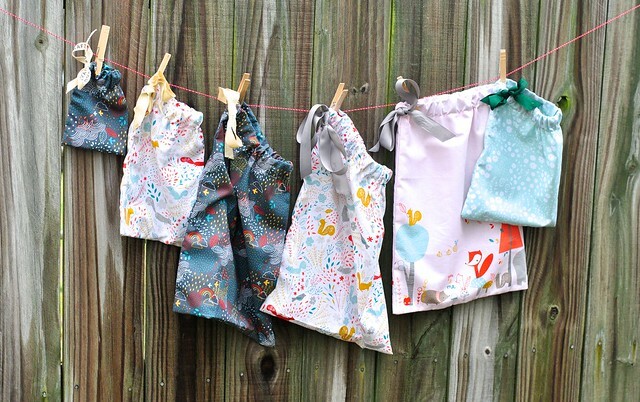 I wanted to share with you some little fabric gift bags I whipped up with an easy drawstring bag tutorial by my friend Veronica! If you enjoy sewing more than you like wrapping presents, you'll want to make several of these to have around the house. 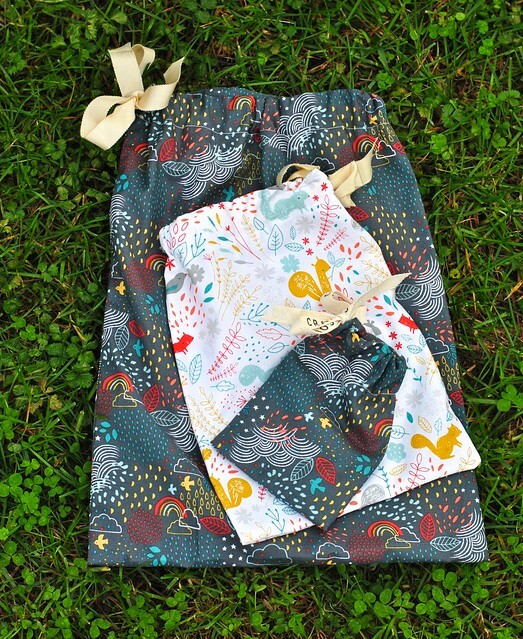 This adorable fabric is Faraway Forest by Lizzie Mackay (Blend Fabrics), and I'm in love! It's hard to choose my favorite print, but I really love the animals and rainbows on white and dark grey. There's a nice border print and some cute floral coordinates, too. If you check out the tutorial, you'll see four different sizes of bags. I made a total of 6 bags in the three smallest sizes. The smallest bag is a nice size for a gift card or jewelry. 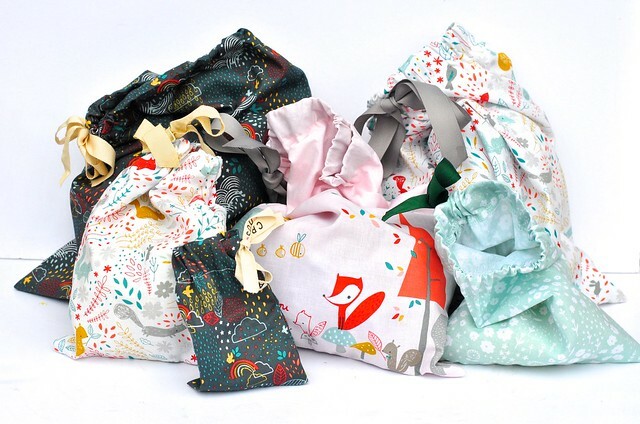 I made three bags in this size, which are great for storing my sons wooden blocks, trains or other small toys. They are a great fit for wrapping up a T-shirt or other small gifts! Where are you on your holiday sewing plans? Do you have a lot more to do, or have you just about wrapped up? Thanks for sharing my tutorial! I'm glad you liked it. 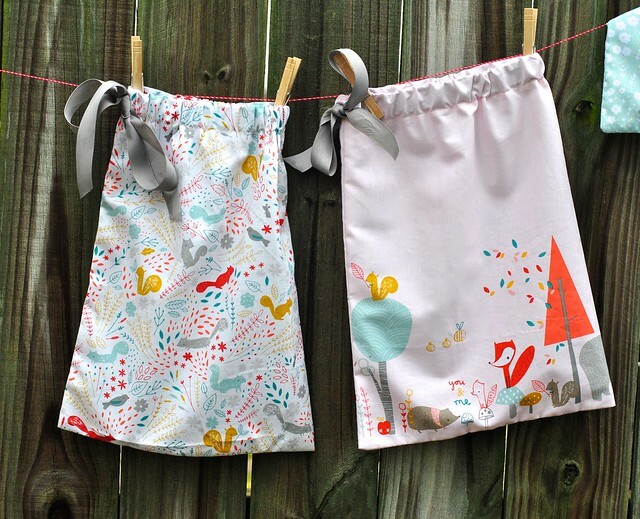 I love these fabric prints, too!